THINK your rock might be lacking gutsy grunge blues, or your passion for it withering? Then atone, my friends, and get yourself down to soul repenting, mystical “shakin & rockin” blues rock with The Electric Church. With eccentric mastermind Baron Franco on lead vocals/guitar as the charismatic front man of the band, flavoured by bassist, Jesse Ingram and interchanging with their tight new rhythmic drummer, Paul Fiddes, and playing in the style of “New Blues-based Alternative Rock,” you’ll be impressed with the funky, raw, and gritty rocking blues the Electric Church is churning out. 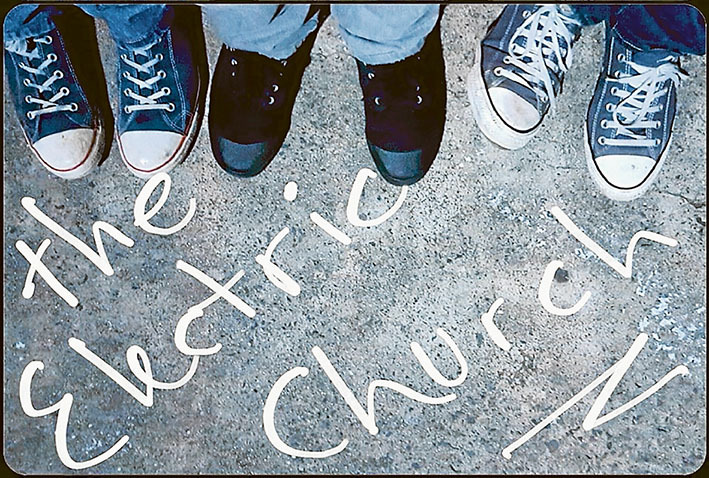 The Electric Church is a tight, hard-core three-piece outfit playing well versed, hard hitting originals laced with cool blues that have been written by Franco and smacks of convincing life experiences, as only good blues can. Some of the lyrical features of Franco’s writing, like New and Old Love, The Road Travelled and The Shadow Man draws from cultural beliefs, grounding them in modern times. Songs like Daddy’s Gotta Roll take you back in time to the possibility of a ’70s New York scene of a struggling family dealing with a gambling addicted father. Combined with the wah-wah of a guitar, the smooth grooving bass line and a rim-shot drum all add to this trip of a ’70s sounding song. The Electric Church is based in Melbourne and is poised at the event horizon of their explosion into the colourful landscape of Melbourne’s live music scene. Their blues, rock and funky sound with original compositions is refreshing and invigorating, injecting innovative groove into their tunes. The band is gaining awesome notoriety as a hard-hitting, funky blues, no nonsense outfit. With extensive gigging around the burbs, Mornington Peninsula, inner Melbourne and greater Geelong, the intensity of Electric Church will scorch unless adequately protected by a beer in hand. Recently, their sizzling sounds got the attention of the Kustoms National Hot Rod Show organisers, which is held annually at Phillip Island. The three-day event in January hosted an array of modified and customised vehicles along with exhibits, displays and great bands like The Electric Church to entertain the masses. The Electric Church is making huge headway presenting a refreshing yet innovative twist on blues/rock, with a trace of funk in original material performed. A band worth keeping an eye on, that’s for sure.